Last year, I undertook a whirlwind trip around the U.S. working with The Ritz-Carlton in order to showcase some properties that don’t always get the attention that they deserve. My final stop on the trip was in Cleveland, a city I very quickly grew to appreciate. While staying at The Ritz-Carlton, I of course enjoyed the outstanding service for which this luxury hotel brand is so well known, as well as delicious cuisine and a hotel in a fantastic location. But the gorilla in the room was the hotel itself. I don’t think anyone would disagree with me when I say that it was dated and in dire need of a refresh. While visiting with the folks at The Ritz-Carlton, Cleveland, they promised that a massive renovation would be completed in 2017, creating a hotel I wouldn’t even recognize. 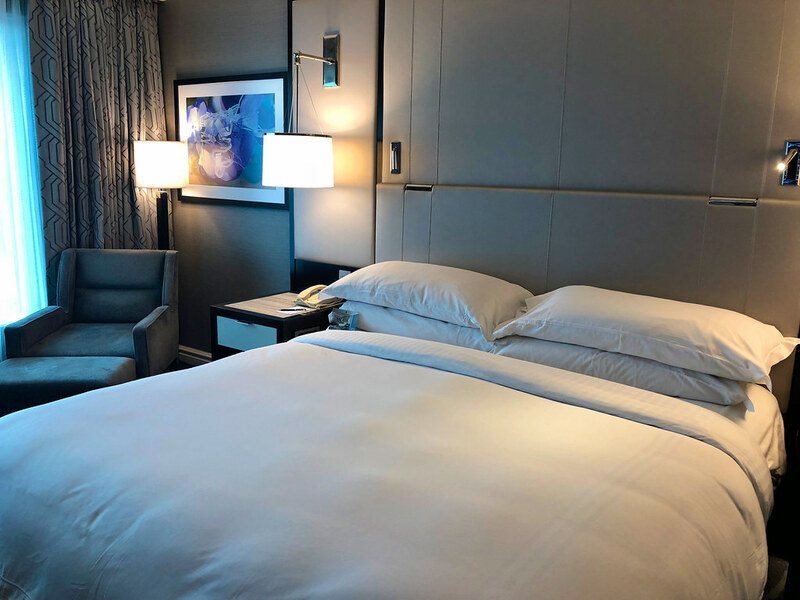 No small feat, I wasn’t sure if they could pull off such a transformation in just 1 year, but last week I was at the grand reopening of The Ritz-Carlton, Cleveland and they went above and beyond any expectations I had. 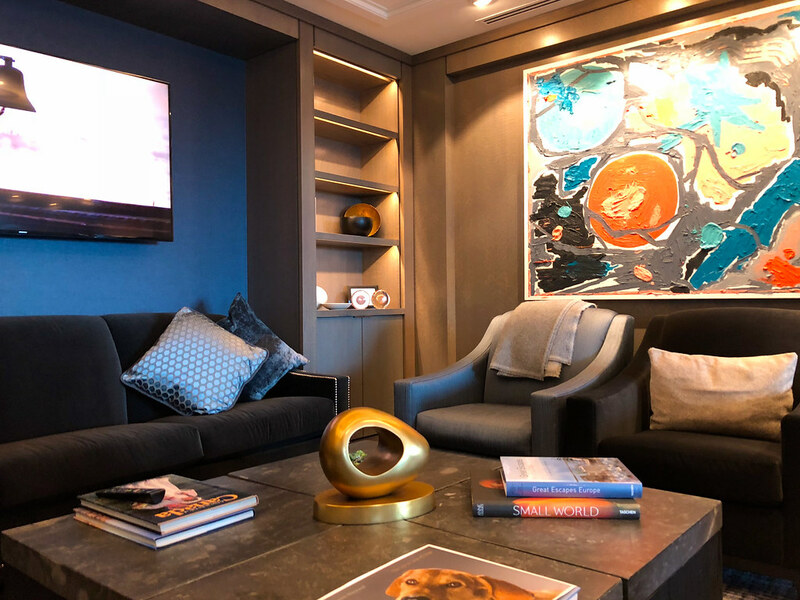 So today I want to share why this new property in Cleveland isn’t just a nice place to stay, but surely must be one of the newest stars in The Ritz-Carlton collection of hotels. It’s not unusual for hotels to go through periodic refurbishment. It’s how they stay current not only with design, but with amenities and services offered. Travelers change in regards to what they look for in hotels, and most properties try to keep pace with those preferences. Although The Ritz-Carlton, Cleveland has enjoyed a preeminent location in town for more than 25 years and although it’s regularly been named the top hotel in the state, it had been a very long time since it went through any sort of updating. 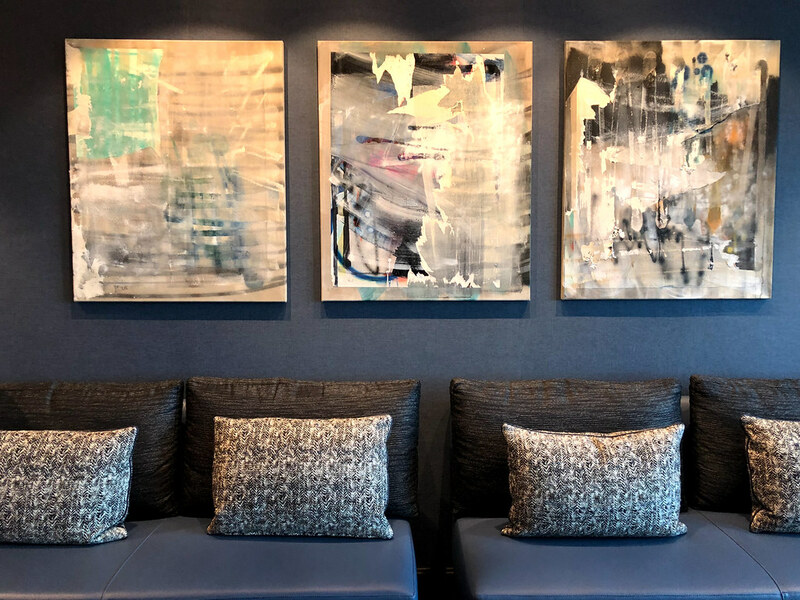 So last year when the owners and hotel management set out to change the look and feel of the hotel, it wasn’t just about updating, it was about turning it into an entirely new hotel. Literally everything was replaced and changed, down to the marble in the bathrooms. The hotel I visited last week bears no resemblance to the property I patronized last year, not even close. It’s as dramatic a change as I’ve ever seen in a hotel and the updates are simply amazing. Walking into my suite at the new Ritz-Carlton, Cleveland, I was blown away. My room last year was fine, it was spacious and comfortable, but it had lacked any sort of personality. That’s one quality that the newly reimagined property has in spades, a distinguished and elegant personality. Nothing remains at all of the old hotel and the new rooms are completely fresh from the ground up. After traveling it’s always important to be welcomed by a warm space, and the color palette of clear, clean blues, taupes and greys inspired in part by legendary Lake Erie instantly put me at ease. The two-room suite I called home featured a sitting area with sofa, desk and TV, dual zone thermostats and the bedroom was as cozy as I could’ve hoped for. 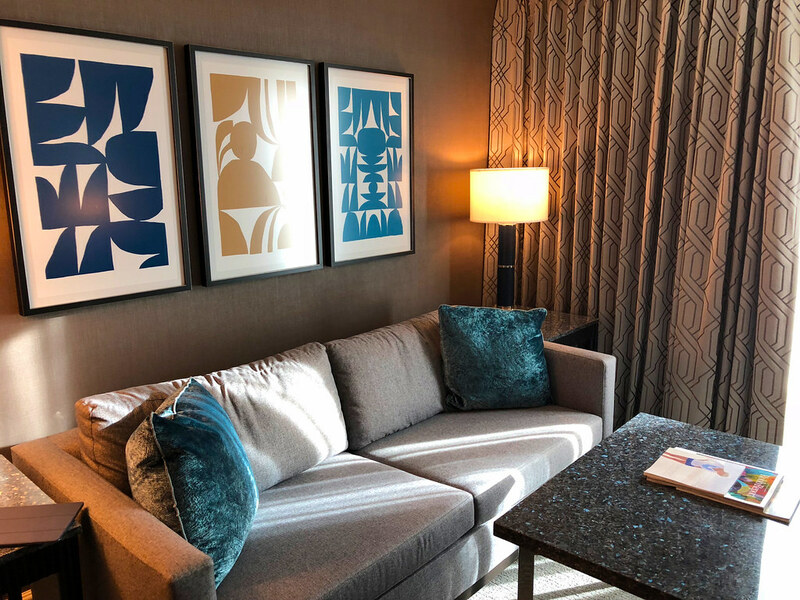 The rooms aren’t just elegant, they’re high-tech and now feature a tremendous level of automation including sensor lighting, RFID keys, one-touch everything (from drapes to lights), digital safes for laptops and five accessible power outlets on each side of the bed. That’s particularly important to me as a traveler and I can’t tell you how many times I’ve had to get creative to ensure my phone is next to me as I sleep. The bathrooms of course also reflect the new design aesthetic. For standard rooms, the tubs have thankfully been eliminated and in their place are beautiful marble retreats with the newest of amenities and fixtures. The suites still do have tubs, as well as separate walk-in showers. The rooms are simply perfect down to the smallest detail and my only regret is that I was so busy I didn’t get to spend as much time in the room as I would’ve liked. 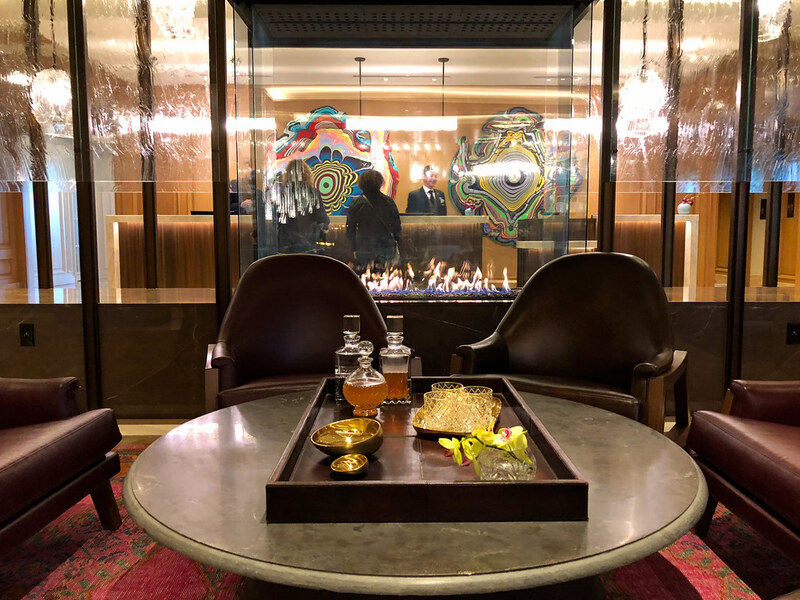 I’ve written about The Ritz-Carlton Club Lounge experience many times and I honestly believe that they provide the best lounges in the industry. 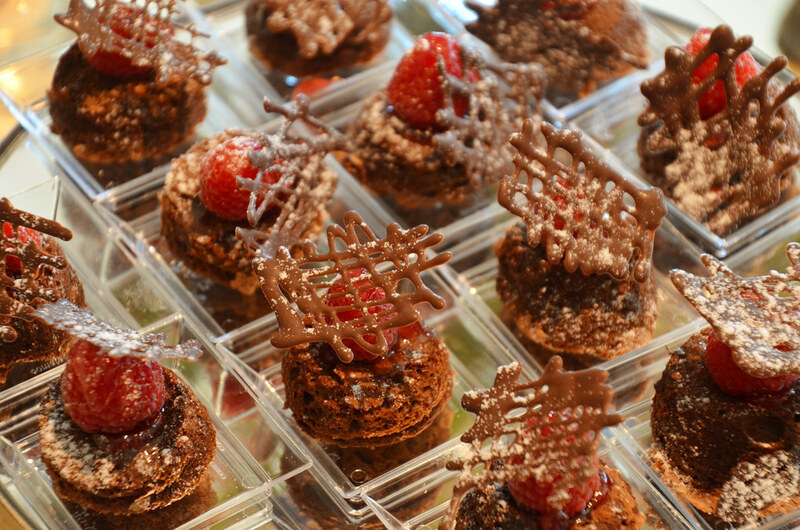 Not only are the multiple snacks and meals offered throughout the day incredibly generous, but they also incorporate special local touches that bring the surrounding community into the hotel. The Club Lounge was a highlight of my stay in Cleveland last year, but what they’ve done with it now after the transformation is truly remarkable. The same design palette carries through and the soft and soothing colors are matched with equally comfortable sitting areas ideal for a meal or lounging and chatting with friends. Always available to Club level guests are a selection of beverages and snacks, augmented throughout the day by breakfast, lunch and light evening appetizers. With incredibly attentive staff always on call in the lounge, they add a special touch that other hotels simply don’t have. Whether it’s getting a dinner recommendation or organizing an early morning cab, they add an extra level of service that’s hard to find. Walking into the main lobby on the 6th floor of The Ritz-Carlton, Cleveland, it’s hard not to be instantly impressed. 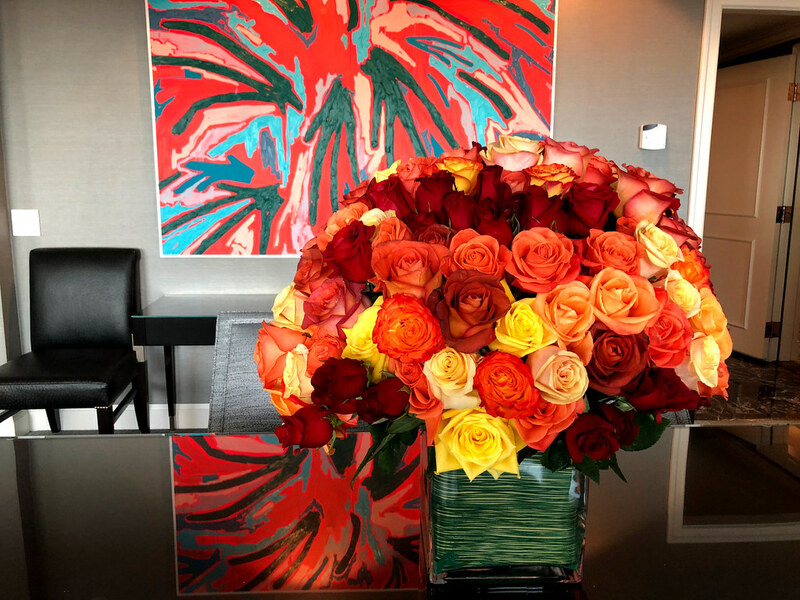 The art fixtures, carefully curated flower displays and stunning views of the city all come together to create a space where you want to spend time instead of just walk through. That was also the concept behind their newly reimagined main restaurant, TURN Bar + Kitchen. Instead of being closed off in a dark room somewhere, the new restaurant is incorporated into the lobby and bar area, making the dining experience more lively, fun and infinitely more social. Many of us travel alone be it for work or not, and the ability to feel like you’re out with other people is important, a fact I’m thankful that The Ritz-Carlton, Cleveland realizes. The changes in the hotel don’t end there. There’s a new sleek street-level arrival area, a special kitchen experience for meetings and parties and an enormous, state of the art fitness center. I don’t normally write about fitness centers, but I was so impressed by the Core Fitness Center that I think it deserves a few words. The gym has everything you could possibly want, from the normal equipment to more specialized features like Technogym and Peloton. There’s even a Fitness on Demand wall that provides interactive, virtual fitness classes. That means there’s always an instructor on duty when you want one. That, I think, is fairly amazing. Best of all of course is the location that The Ritz-Carlton, Cleveland enjoys. Situated in the heart of the city, it’s easy to get out and about, enjoying the best features of this Midwestern city on the rebound. There are any number of things to see and do in Cleveland, but my favorite place to visit is the Rock and Roll Hall of Fame. Walking up to the massive facility, I couldn’t help but feel excited and I’m not entirely sure why. Like anyone else, I enjoy music, but I’m not obsessive about it and my own knowledge of groups and people can be somewhat limited. But I knew that this would be a world-class experience and right away I realized my hunch was right. Let’s be clear, an entire day could very easily be spent at the Rock and Roll Hall of Fame, perusing its many exhibits, touring special collections and listening to the music that has changed the world. It’s up to you how much time you spend at the Hall of Fame, but for me I wanted to see and do as much as possible, following the steady progression through its many levels. Built in 1995, the Hall of Fame is part of the larger Rock and Roll Hall of Fame Foundation, established in the 1980s to recognize and preserve the history of the best-known and most influential figures in the development of rock and roll through the decades. I love history, and the course of the exhibits at the Hall of Fame lead guests through the history of Rock and Roll, from its earliest antecedents to the modern era. It’s a fascinating look not only at the music that has shaped all of our lives, but the amazing impacts these simple songs have had on the world. Add in special items, costumes and memorabilia from some of the most famous musicians in the world, and the experience is as much fun as I had hoped it would be. By now you’ve probably clued in on the fact that I was impressed beyond words by the transformation through which The Ritz-Carlton, Cleveland has undergone. It’s no small feat to essentially tear down and replace every internal feature of a hotel, but that’s exactly what they’ve accomplished all in the space of one short year. And, honestly, the hotel needed it. While the staff were amazing, the food delicious and the hotel comfortable, when I stayed there last year it was not a luxury property of the 21st century. Today it is, today it’s one of the best new hotels in the country and undoubtedly one of the best within the entire Ritz-Carlton family. While the new beds, the fancy exercise equipment and the yummy food are all great, it’s the staff ultimately that makes any hotel experience special. I’m used to meeting Ritz-Carlton staff around the world who love their jobs and who are committed to their careers, but the folks in Cleveland seem to have a little bit extra pride, a little more love for their city and hotel and that attitude is absolutely infectious. As a guest, it made me excited to be there, excited to experience the hotel and the city and excited for what the future holds for both of these rising stars.